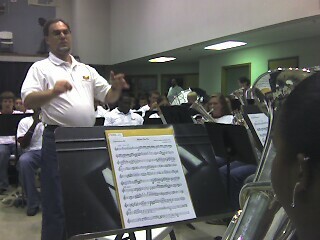 I'm performing and teaching at the Salvation Army's Southeast Territorial Music Institute, where their drama contingent has grown to 25. No theatrics at this midweek concert. Pictured directing is Scot, James Anderson.